Well I got sour news for you, Jack. For instance, are you willing to make the commitment to wakin’ up at the crack a’ noon for 7 or 8 readings of the Didache at a time, in a row? How about are you ready to make the commitment to perfect knowledge of Greek, Latin, and Syriac—polyglot style—bristling on your tongue? As you study the fathers and related issues, take a lot of notes, and keep them well organized. Don’t just take notes on the issues you’re most interested in. Note anything of significance, whatever the topic. It’s helpful to have extensive notes for future reference. Don’t work at it; just potter around, and look at stuff you find interesting! If it’s fun to do, you’ll get more done in the long run. Both of them also put a fairly heavy emphasis on starting with the apostolic fathers, which makes sense chronologically and in terms of their relevance to New Testament study. Roger Pearse has the very good idea of prioritizing the Church History of Eusebius. 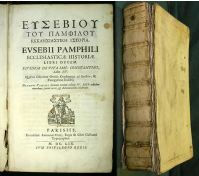 Every scholar’s introduction to pre-Nicene writings or history leans in some way on this primary source, so read it. It will let you know when the scholar is agreeing with or disagreeing with Eusebius. Eventually you will have a better appreciation both for Eusebius and for the secondary sources on church history, if you’re reading both, not just one or the other. Okay, so here’s where my answer is different. Even though the question is how to study the church fathers, my first piece of advice is to cast your net wider. You will have a better appreciation for the church fathers if you are also reading the New Testament (duh? ), the apocrypha, the gnostics, and other stuff. (By the way, there’s a site where you can do that.) That other stuff includes the whole gamut of Judaism and the classics, which is a pretty big reservoir of literature, but there’s no place where you can dip in your toe without some relevance to the rest of it. How do you manage the complexity and the volume of literature? One thing you can do is to start with the “good” literature instead of just the “good for you” literature. It’s always easier reading things you enjoy! 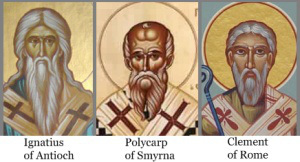 People will vary in their tastes, so I’m not going to have particular recommendations (except to say that the most recognizable post-Nicene fathers are usually well-known for a reason). If you’re finding some reading difficult and slow, you can always put it aside to come back to it later. Read secondary reference works first. If you’re able to be critical and hold them at arm’s length when you are reading the primary sources, these reference works will give you the sweep of things much more quickly. You should get one of those books titled something like “Context” or “Background” of the New Testament. Right now, I’m working through Green and McDonald’s recent The World of the New Testament. It’s mostly applicable to the church fathers too. I’m reading Birger A. Pearson’s Ancient Gnosticism at the moment, which is excellent regarding its subject. One of those “Second Temple Judaism” books should be in your reach. The subjects of Hellenistic Philosophy, Middle Platonism, and religion in the Roman Empire are germane. You may want some stuff with a secular approach to late antiquity and the Roman empire. You can also profit from the study of art and archaeology. I have never seen a patrology that I didn’t like, so you can go with Pearse’s suggestion of Quasten or you could get something more recent. I could say more, but the question asked for a beginner’s approach to the church fathers, so I’ve said more than enough already. Do you have the kind of background recommended with the first five bullet points above (or maybe you just want to skip to the good stuff)? Then just grab any patrology and a copy of Eusebius’s church history, read through those, and continue reading whatever you like. Good writeup. You almost make it sound easy. Good post. 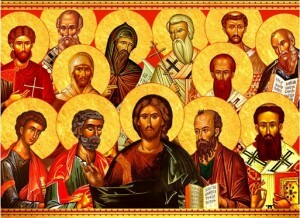 I’ve found the church fathers to be extremely rewarding both academically and spiritually. I’m a big fan of Drobner’s The Fathers of the Church: A Comprehensive Introduction as an introductory patrology.